All prices are subject to change on holidays. All Rates are based on two people in suite. There is a $35/night charge for each additional person. To make a reservation: Please call us at 1-250-939-9110. A deposit is required for all reservations which is payable at time of booking. Deposits are refundable if cancelled notice is received on or before 30 days before arrival and non refundable if received within 30 days. 30 days notice required. There is a $50 cancellation fee if you cancel at any time. 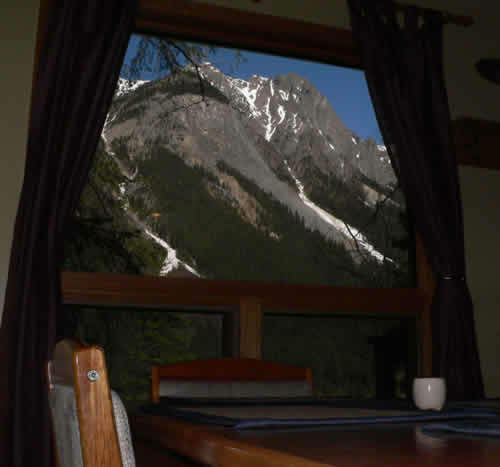 The Alpine Guesthouse is located 15 min west of Lake Louise and 35 min east of Golden in the mountain community of Field B.C. Turn into Field from The Trans Canada Highway. Cross the bridge and railway tracks, turn left at 1st Street and then turn right at 2nd Ave. 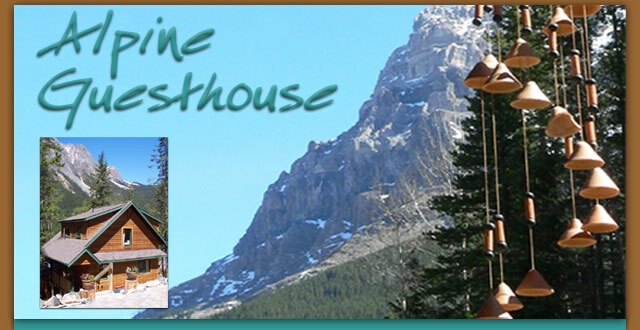 The Alpine Guesthouse is located at 313-2nd Ave. Look for the "Alpine" sign. Check-in time is any time after 4:30 pm.